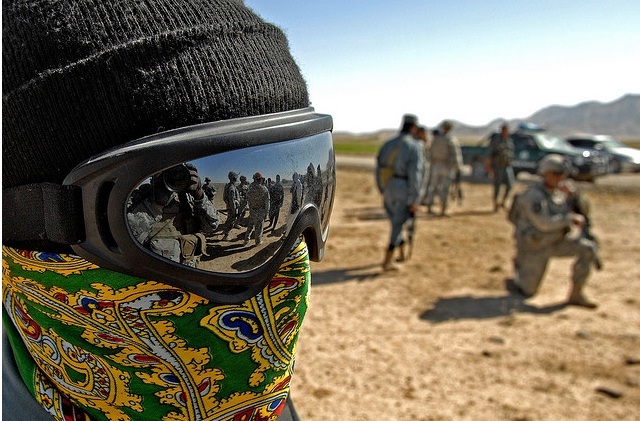 An Afghan Highway Police officer stands watch during a joint reconnaissance mission with U.S. Soldiers assigned to the 8th Squadron, 1st Cavalry Regiment In Robat, Afghanistan, March 17, 2010. U.S. Air Force photo by Master Sgt. Juan Valdes.